Τοποθετημένο στην καρδιά της Περιφέρεια Γουεστ Λέικ – Περιοχή Χουμπιν, το Onederz Hostel Hangzhou είναι το ιδανικό σημείο από όπου μπορείτε να ανακαλύψετε τη Hangzhou. Από εδώ, οι επισκέπτες μπορούν να έχουν άμεση πρόσβαση σε όλα όσα η πόλη έχει να προσφέρει. Με την βολική του τοποθεσία, το ξενοδοχείο προσφέρει εύκολη πρόσβαση στους προορισμούς της πόλης που πρέπει οπωσδήποτε να δείτε. Οι εγκαταστάσεις και οι υπηρεσίες που παρέχει το Onederz Hostel Hangzhou διασφαλίζουν την ευχάριστη διαμονή των πελατών. Για να ονομάσουμε μόνο λίγες από τις εγκαταστάσεις του ξενοδοχείου, υπάρχουν τα δωρεάν WiFi σε όλα τα δωμάτια, 24ωρη φύλαξη, ημερήσιος καθαρισμός, 24ωρη ρεσεψιόν, φύλαξη αποσκευών. Όλα τα καταλύματα διαθέτουν τις απαραίτητες ανέσεις για να εξασφαλιστεί μια ασυναγώνιστη αίσθηση απόλαυσης. Εξάλλου, το ξενοδοχείο διοργανώνει πολλά ψυχαγωγικά δρώμενα έτσι ώστε να έχετε πολλά πράγματα να κάνετε κατά τη διαμονή σας. Απολαύστε τις ασύγκριτες υπηρεσίες και μια πραγματικά περίβλεπτη διεύθυνση στο Onederz Hostel Hangzhou. Good hostel, toilet need improve cleanliness. Dirty washrooms . Winter time is a bad time cause their"heat" is vey low. They did allow me to refund the rest of my stay and apologized so the service attitude was good. Location was excellent. Hangzhou was my transit before going up to Huangshan. Shelly from Onederz was so helpful to purchase advance on my bus ticket. Facility was basic and worth the money. Will come back again if I visit Hangzhou. 2 people with standard room was too small. I went in winter season and the heater doesn't work very well. Good location and friendly staff especially a man called Henry, he is nice guy and help me a lot.. Because the hostel location is in the pedestrian street, so taxi isn't allowed. If you want take taxi to the airport you must walk until main street. It's not far away from railway station, juz 15-20 minutes walked. The landmark is "Family Mart", on your left side is metro/subway. You need to ask people ( or use the map on your phone) to go there.. The route a bit confusing for the first time but after u familiar with the road, its so easy to find the metro/subway.. This is a good hostel. The dorms are big and clean, with solid lockers. The shower room is big too, and relatively clean, although there were some hair problems in the girls shower (and drain!). The common room is big and comfortable. The only downside is that the staff barely speaks english. Also, there are no mixed dorms. Other than that, we would not hesitate to come back, as the location is very good ! Hotel is not easy to find, located in one of the side lanes in Hefang Street. About midway of the street, look out for 5 bronze statues and then turn into the side lane 20m to hotel. Room is rather small, no space to put my luggage. 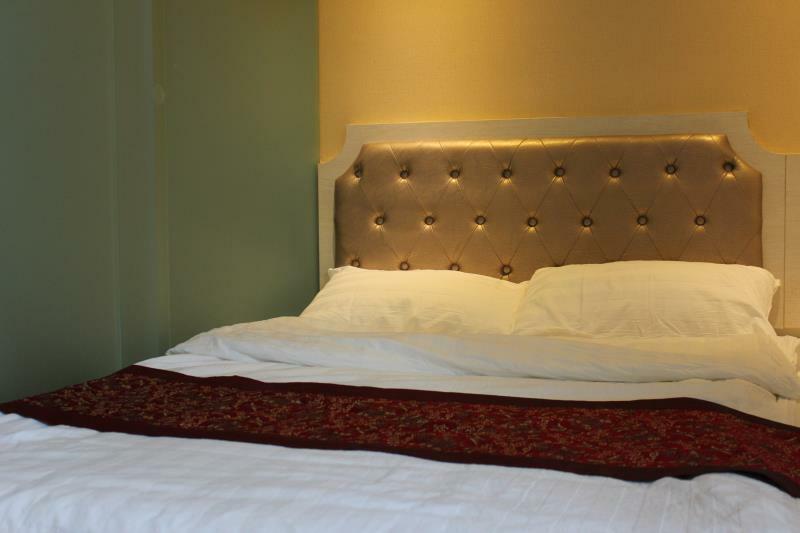 Basic amenities are available - Wi-Fi, air-con, water boiler, slippers, basic bathroom toiletries. TV is entirely Chinese channels. The towels are old and torn at some sides. High time to replace them. Given that the nearest Dingan Road subway is 15 mins walk, and another 15 mins walk to West Lake, I would rather try another hotel in future. Back to Hangzhou after visiting Putuo Mountain. Stay one night but in different room. 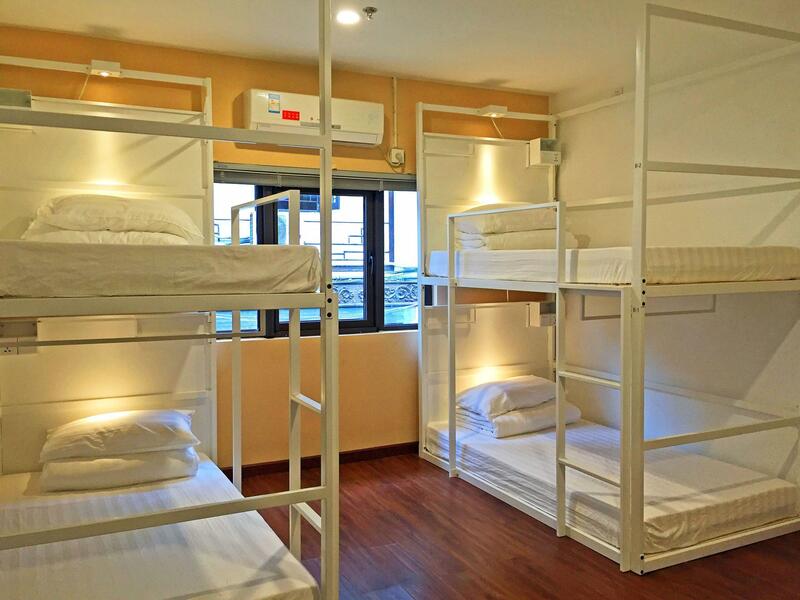 Cannot expect too much about quietness since it is a hostel, and when your neighbour was snoring at night. Overall good location and friendly staff. Since it is a hostel, cannot expect too much about noise. Overall the stay is still comfortable and the staff is very friendly. Surrounding area is famous as tourist hotspot and it took around 45 mins to Hangzhou airport provided no traffic jam. Rainy season in March, so remember to bring umbrella. They call themselves a luxurious hostel .and we agreed as they have comfortable private rooms with attached bathroom. The room is not that big but the bed is and very comfortable. We prefer higher pillows which was provided for only 1 night as they ran out when the hostel is full . They provide all amenities but the bath towels were a tart old . Location is good if as it right smack in a touristy place - Hefang street . It's walking distance to West Lake . 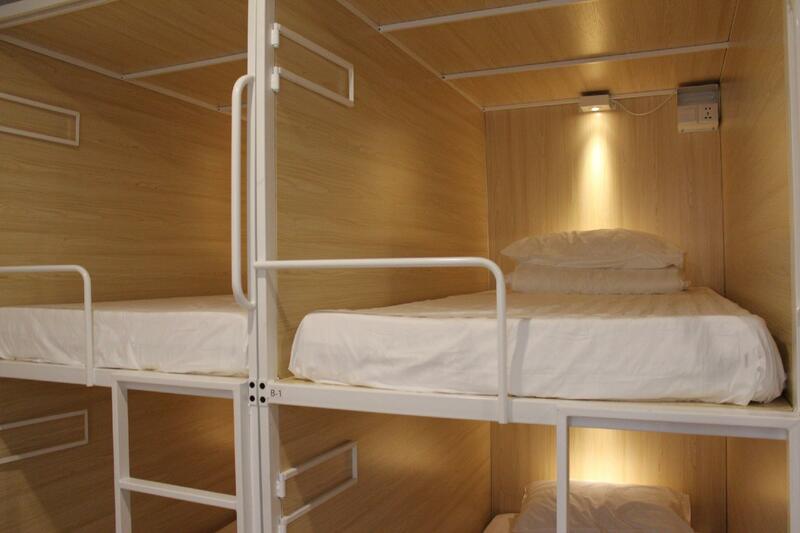 The hostel is inexpensive and it is a hostel of high quality in Hangzhou, China. The room is very clean and comfortable and location is so nice. If I travel again, I want to stay there again. Σταθμός Υπόγειου Σιδηρόδρομου Ding'an Road στα 0.68 χλμ.